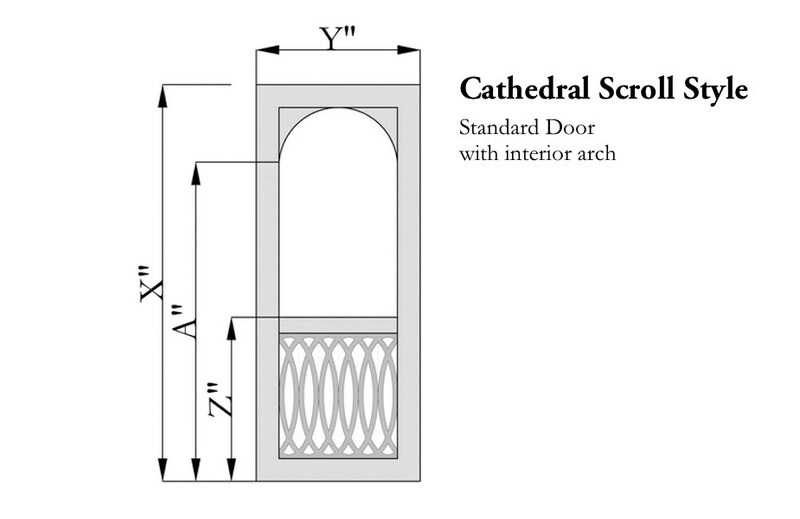 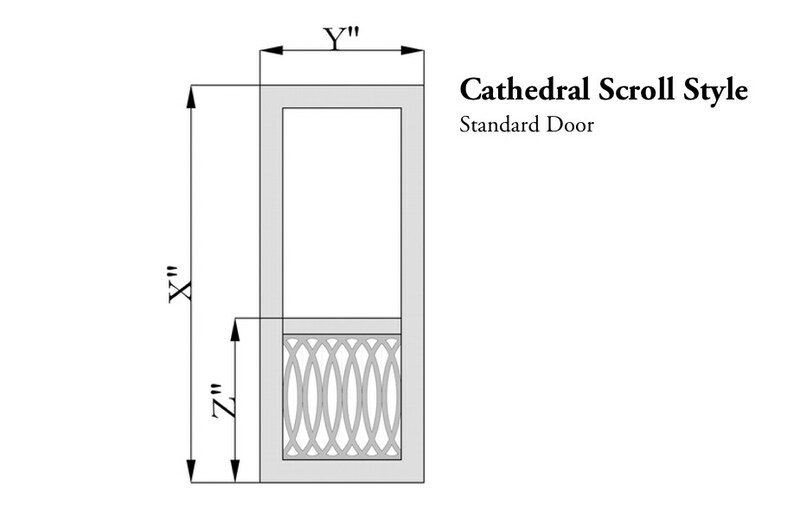 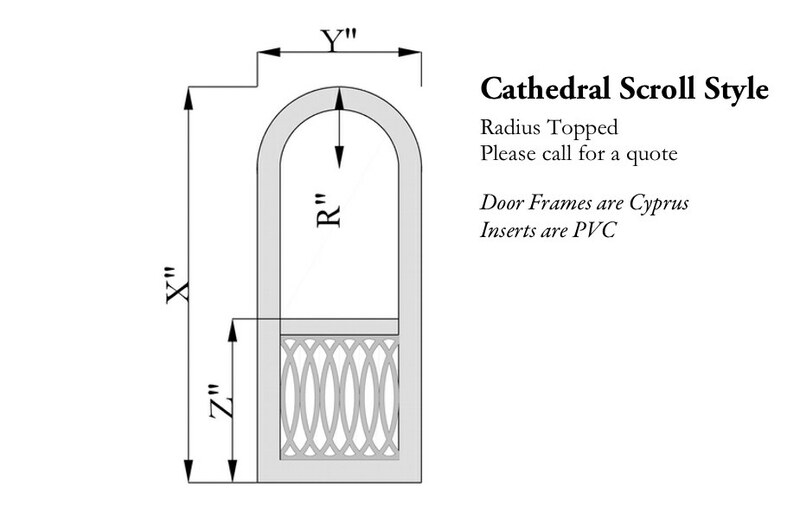 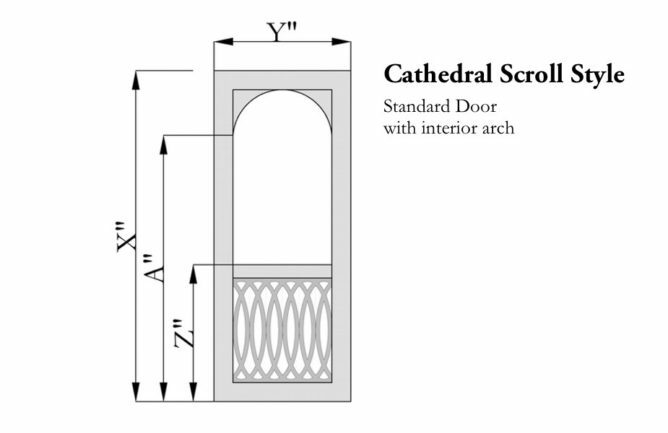 The Cathedral Scroll panel is PVC. 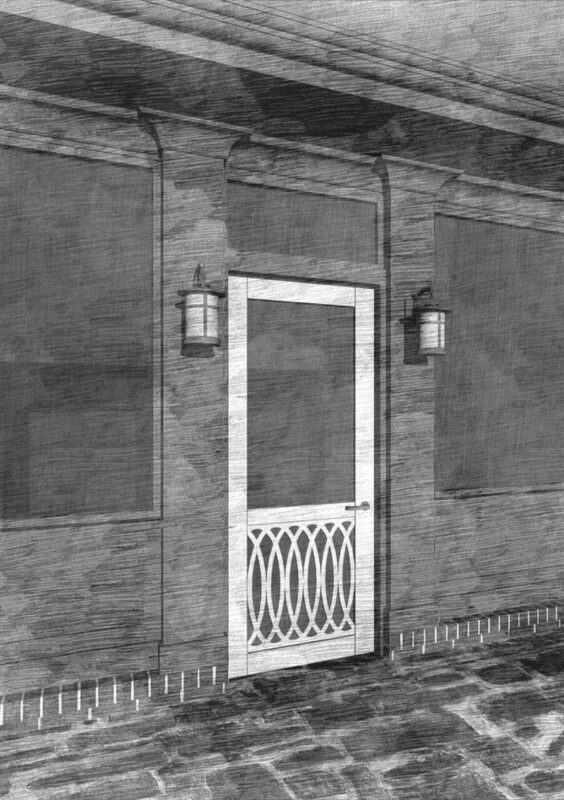 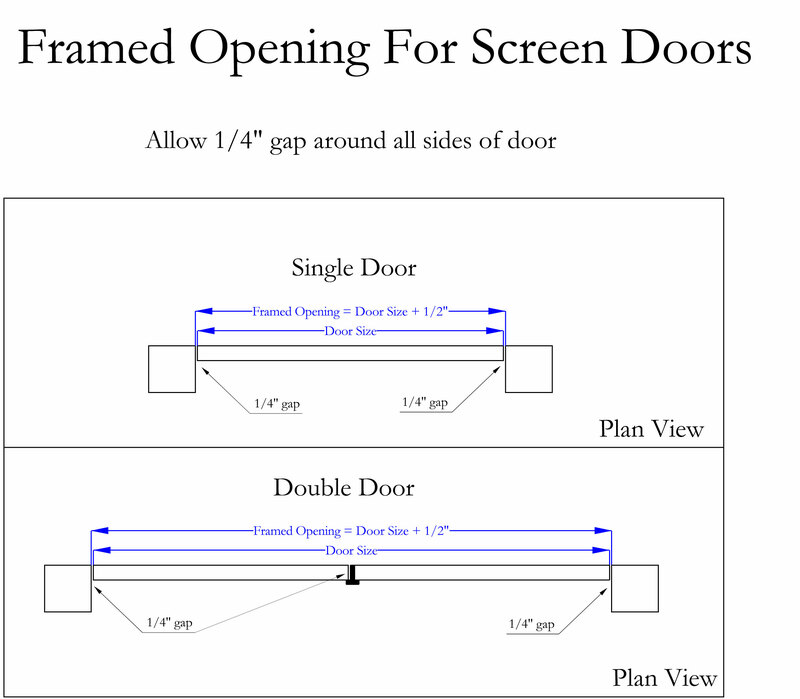 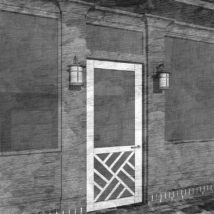 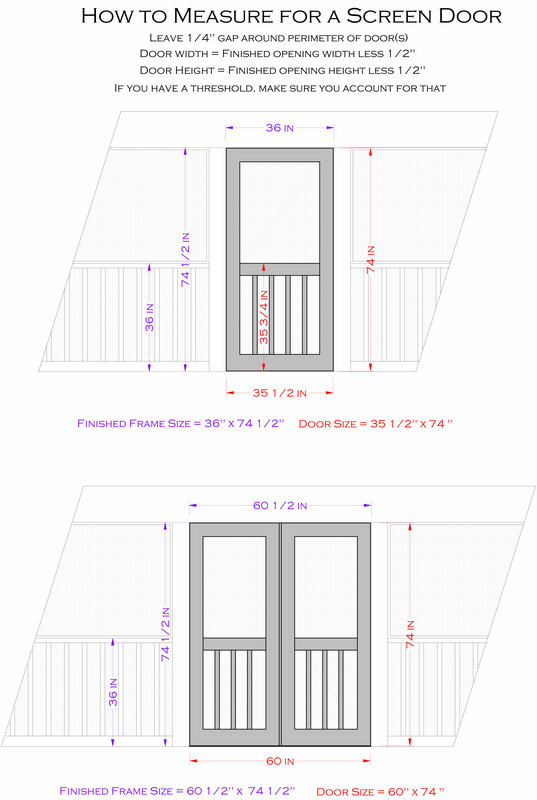 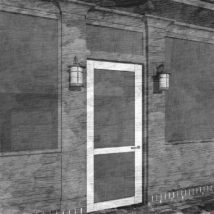 Our typical door has a 4 3/4″ top, and side rails and a 5 ½” bottom rail. 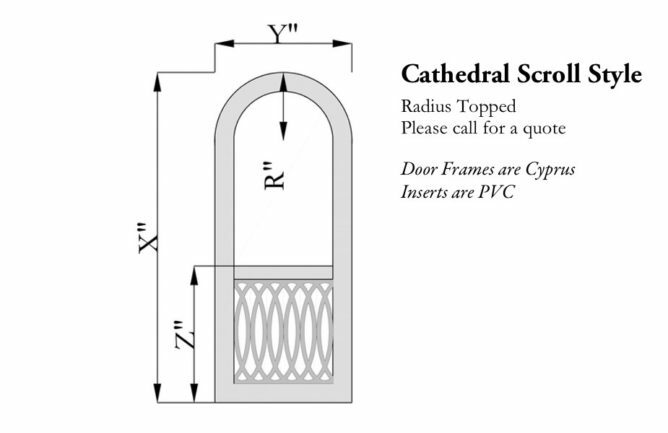 The mid rail is 4”. 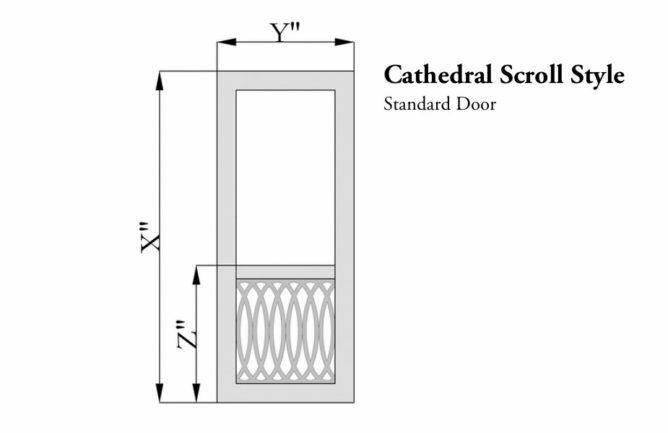 Give us a little grace – those number can vary depending on the door style and wood condition.